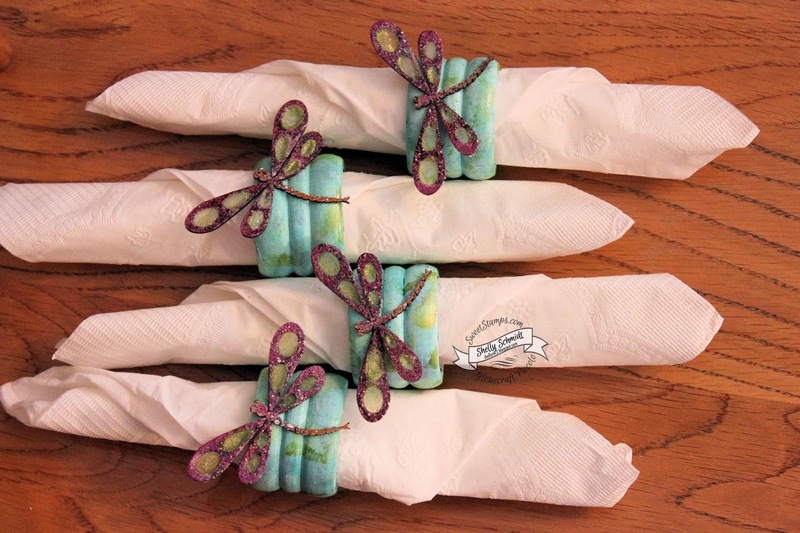 For the Anything but a Card challenge this week at Sweet Stamps, I altered some Napkin Rings- I bought them at a resale shop for $1.00. 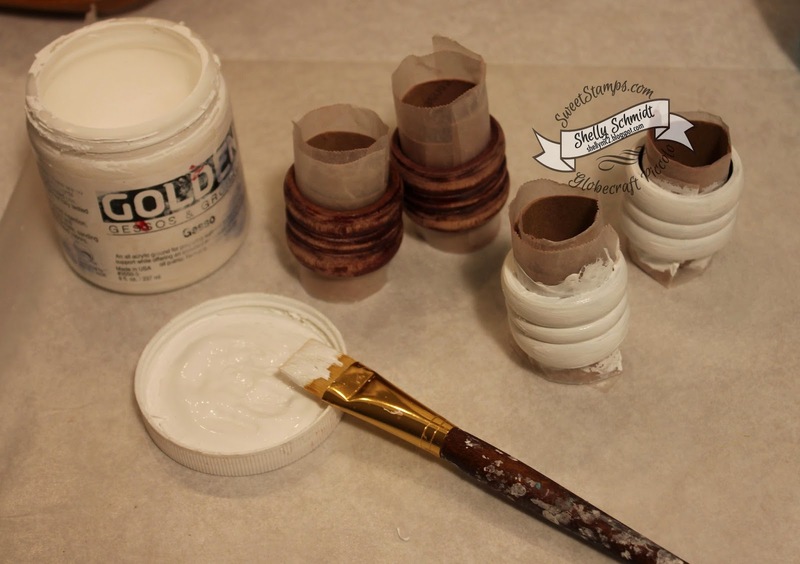 I started with sanding the napkin rings, placing them in tubes made from cardboard toilet paper tubes covered with wax paper. I primed the rings with Gesso, then dabbed on Broken China ink with a paintbrush. Next, I daubered on Mustard Seed and Forget me Not inks, and added a bit of glitz with Inka Gold. (I painted on the Inka Gold). 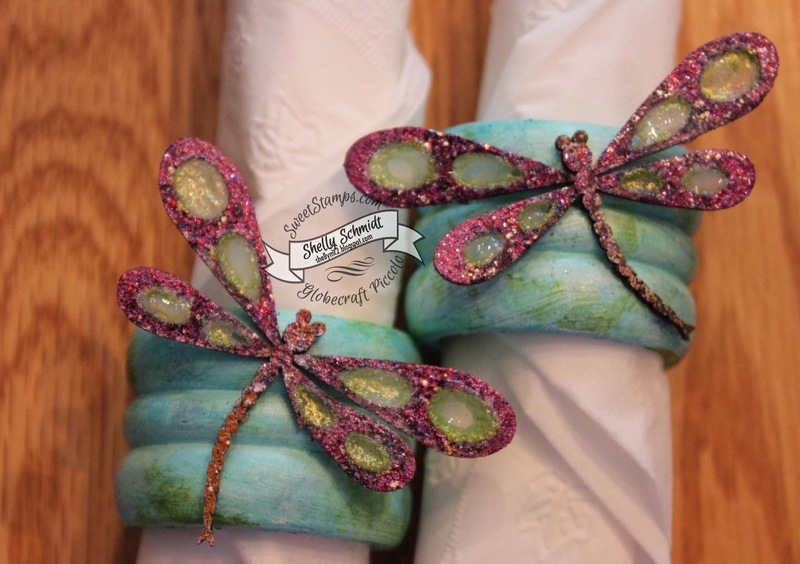 While that dried, I embossed the dragonflies- brownstone in the centers and Girls Night Out on the wings. I filled 2 of the wings with Crystal effects, then sprinkled on Sugar Sand. The other 2, I used Stickles Glitter Glue and sprinkled on Sugar Sand. So, the glue shrunk and left holes in the middles of some of the wings, so I added Crystal effects to the open areas. I added the liquids to the wings on the craft mat and let them dry overnight. Where the holes were from the glue shrinking, I added Crystal Effects and let it dry. Finally, I added Inka Gold 'Yellow.Green' on the top- painted on with a fine paintbrush. The supplies I used are found HERE on the Sweet Stamps Blog. 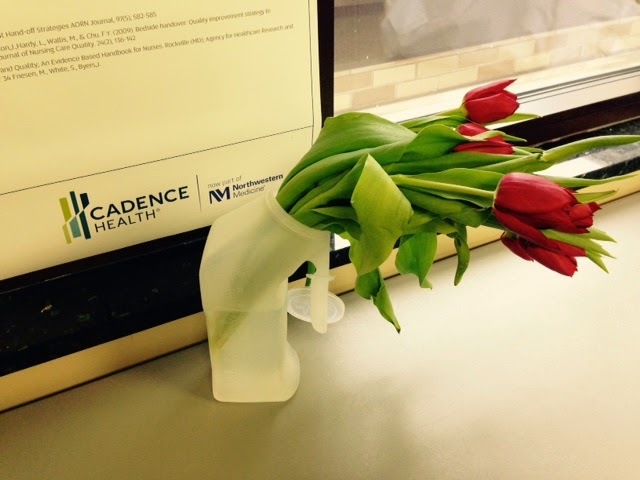 The challenge at Tuesday Throwdown for this week is Get Well. I colored with a very subtle blue on her dress for shading. and added skin tones and hair coloring and viola- done. 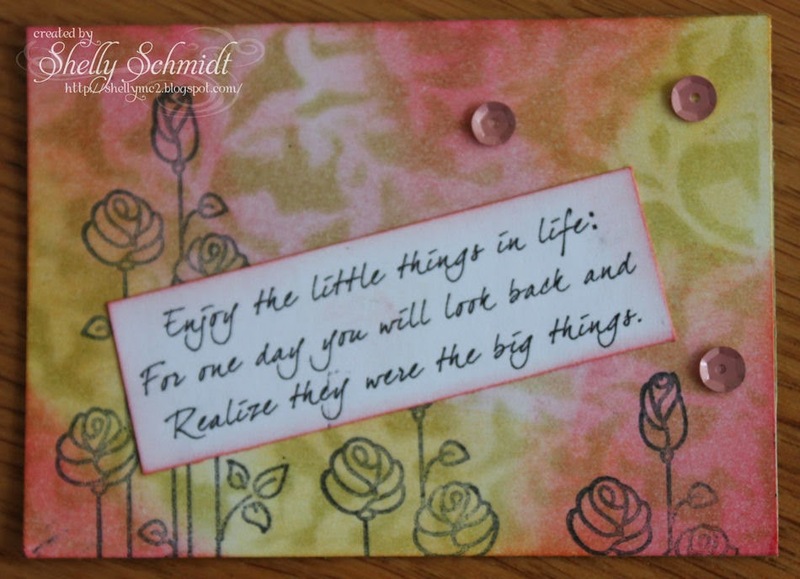 I added a sentiment from Create with TLC. I do not know who makes these papers- they are in a stash pile of 6x6 DP's. I got a little grungy with this weeks challenge - to use Pearls. On the top layer I sponged on Antique Linen thru the Weave stencil first, then added some texture paste. Once dry, I sponged on Picked Raspberry Distress Ink. I added some flicked on drops of color for interest. For the burlap, I painted it with Gesso and then sponged on Picked Raspberry. I added a bit of Wink of Stella to the raised textured pasted areas and to the burlap. I had to add just a pinch of Raspberry to the edges of the card and added a bow. Here is the link to the SweetStamps challenge blog where my card is posted with links to all of the products I used from the store. I joined a Swap group over at SCS- and Kelly was the 1st hostess- with a theme of Nauti-cal. I watercolored the image from Impression Obsession on Confetti cardstock and used some older SU DP for the card base. Retro Rubber challenge- Brads and use an image 1 yr old (mine is 3 yrs old) for 2nd card. Pink & Pastel Birthday card. 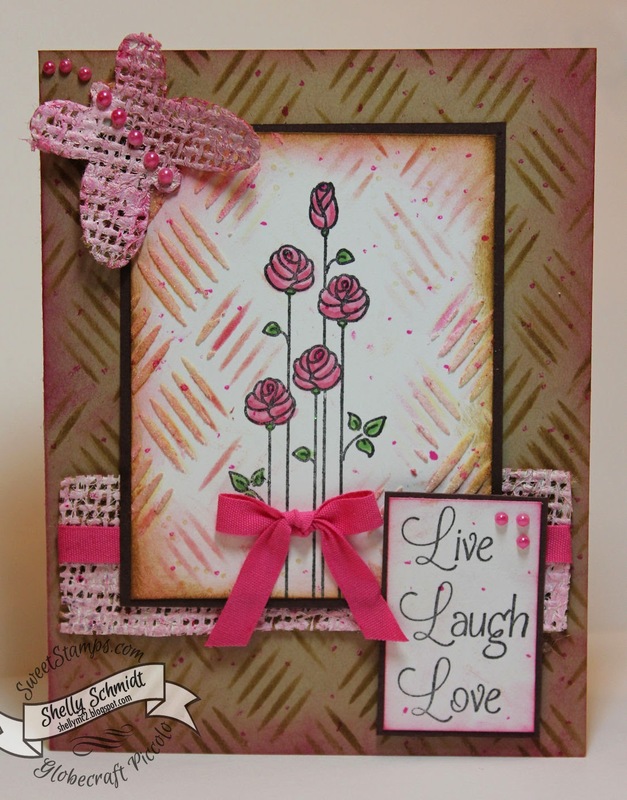 I love the Spring colors and I think they coordinate perfectly with the SweetStamps challenge this week- Pink. I initially was going to sponge on the color, but just applied it Direct to Paper using the Ink Spots. 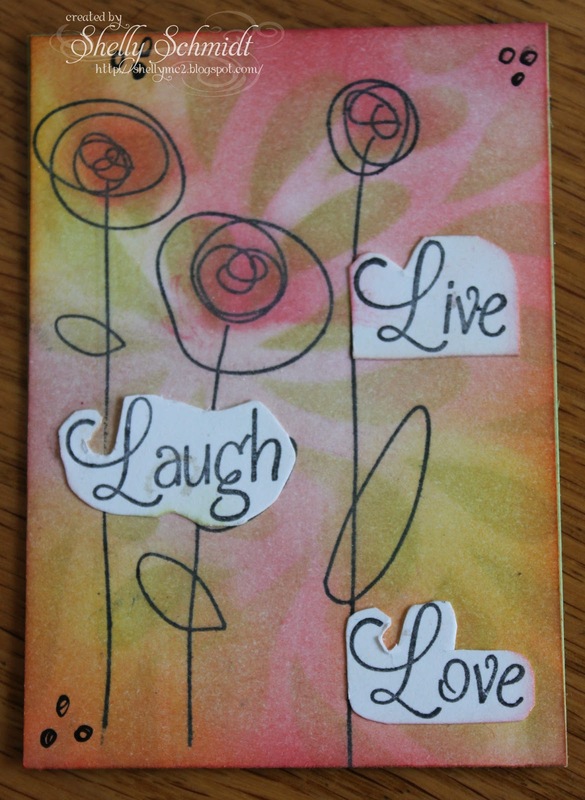 I used the Tulip Stencil over the top of the colors using In the Pink Ink. 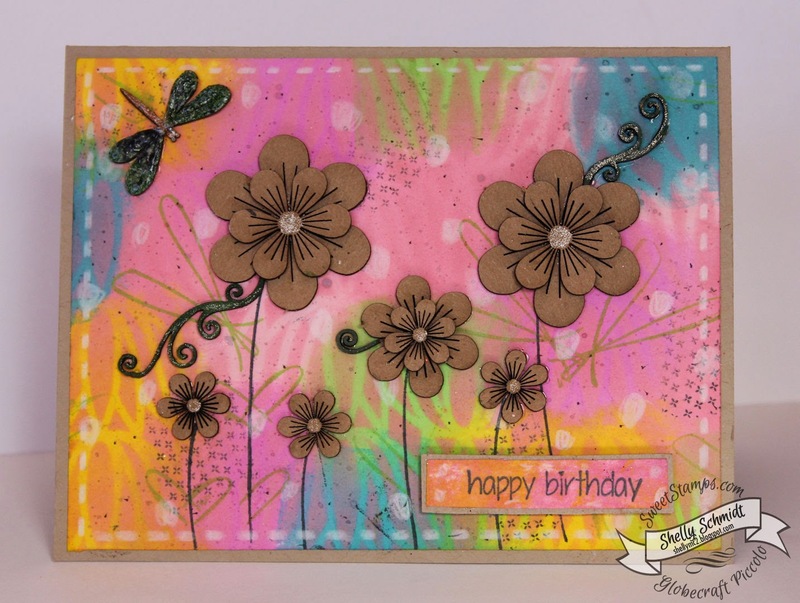 I added splatters of black and touches of a border stamp from the You Brighten My Day set. I used the stem of the flower in the same set for my flower stems, and added Kiwi Green leaves using another stamp from the same set. Next, using a Prismacolor pencil, I added dots and dashes in white. I used the Wink of Stella Green for the Piccolo Flourishes, and was inspired by a card by Donna K using her Piccolo's 'naked' or 'au natural', so I just added a touch of shimmer in the flower centers using the Stardust pen. The dragonfly Piccolo was embossed using the Brownstone in the center and Mossy Glen on the wings. Supplies used are all linked to the store and can be found on the SweetStamps challenge Blog HERE. The challenge at Sweet Stamps for this week is Flowers. I made 2 cards with the Victorian Floral Frame Image. I stamped and embossed the image with Black Fine Detail EP, then colored it with Distress Markers. I added Globecraft and Piccolo accents- I just love the shimmer in the Enamel EP! I just cannot seem to stay away from pinks and blues...... I used Distress Markers and a couple of Copics to color this image. 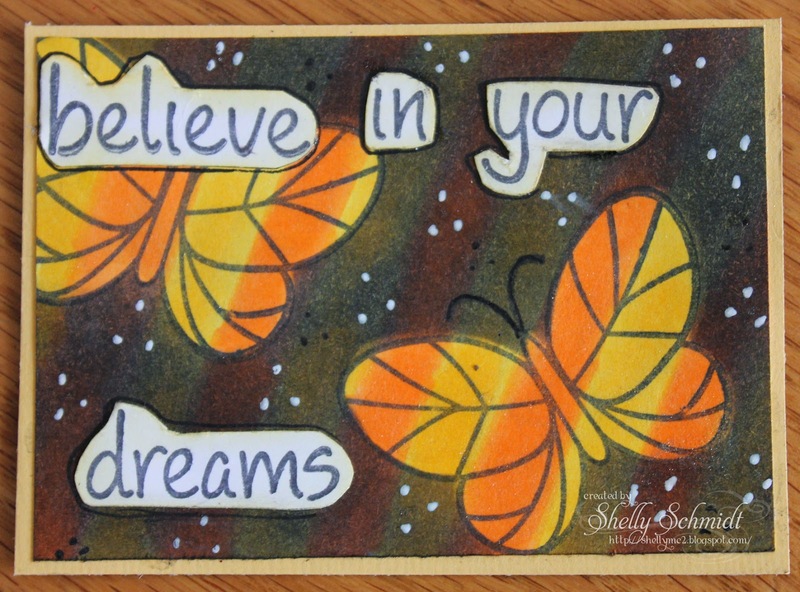 I used the sketch from Try Stamping on Tuesday- Link Below. I had one of my markers blob out ink on me for the first time ever! The DP and cardstock are all SU. I was so happy to be able to attend an ATC meeting this month- finally! Our theme, Inspirational Sayings. We begin with a 1-4-1 trade and I made Easter themed ATC's for fun- using Globecraft and Piccolo Bunny Accents (from SweetStamps). 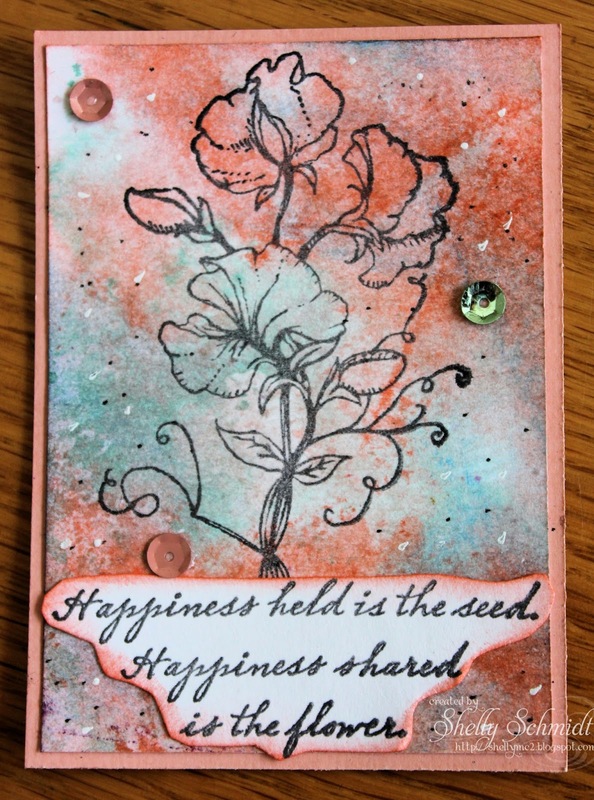 I used Distress Inks on the background and an ATC stencil by SweetStamps. 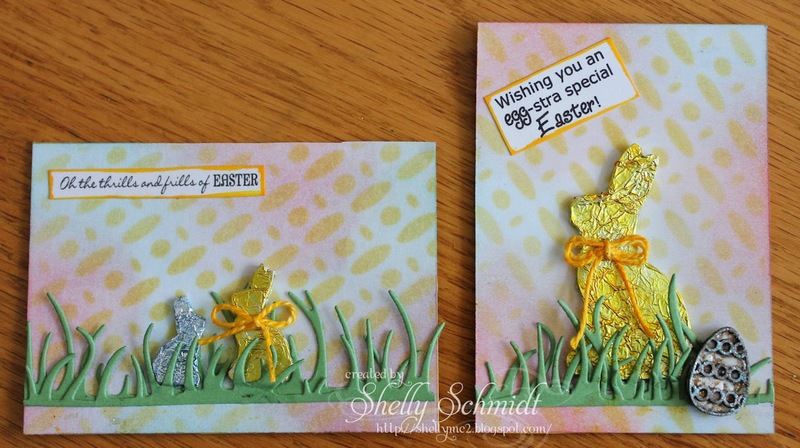 The chipboard Piccolo accent bunnies (from SweetStamps) were covered with foil and colored with Copics. The Piccolo egg was embossed with enamel Embossing powder. I used a Cheery Lynn Die (from SweetStamps) for the grass. The Sentiment are by Create with TLC. This is another Distress Ink background and a stencil by Sweet Stamps. The Sentiment is also Sweet Stamps. Same inks as above, different stencil. The Flowers are Sweet Stamps and the sentiments are Unknown. 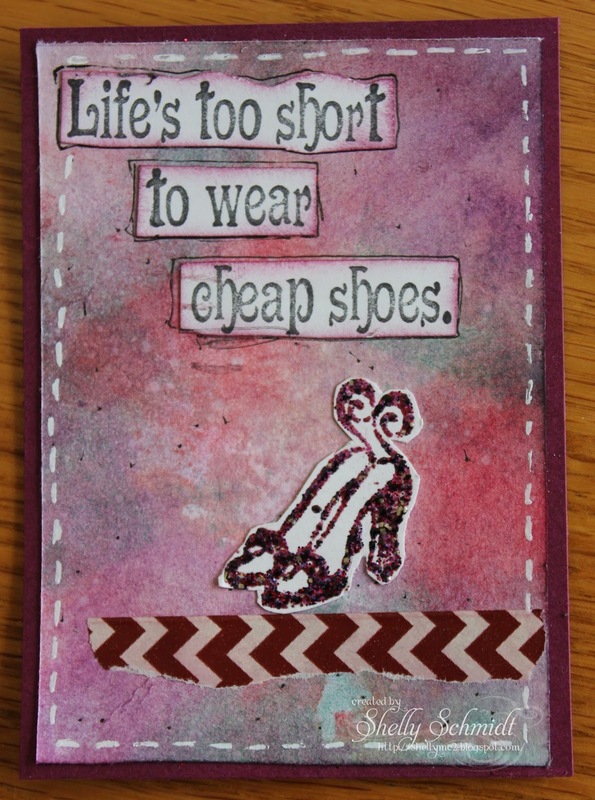 I love this fun sentiment by Ann-tipications, and the shoes are by SweetStamps. The background- Distress Inks. More Distress Ink background and the images are by Flourishes (retired). Finally, I tried a new Technique I saw on Stamp TV called Emboss Resist using Alcohol Markers. I masked the area over the butterfly instead of embossing it. using Lawn Fawn Stamps Flutter By. As Easter approaches, I wanted to reflect on the religious meaning of the holiday. I love the new crosses available with the Sweet Stamps March New Release, so used one on my card. 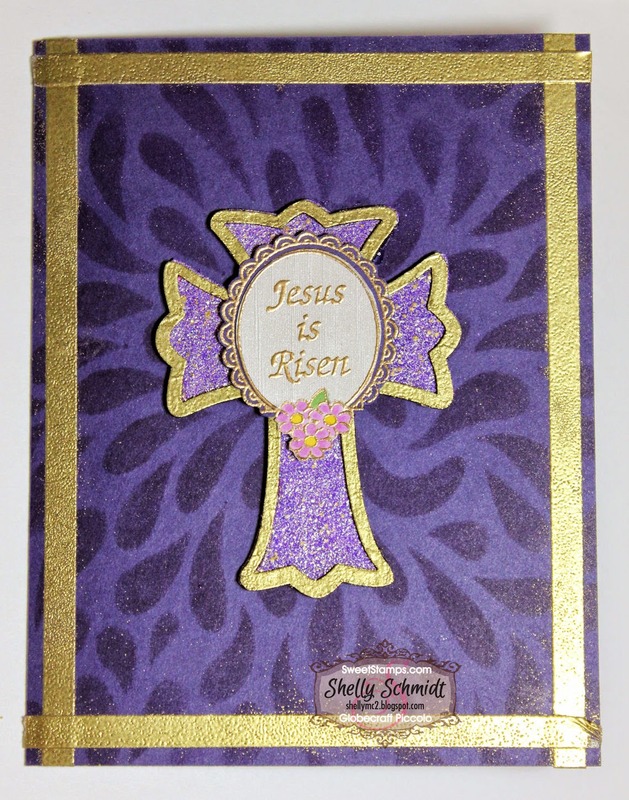 I stamped just the center portion of the large Cross stamp on White cardstock and on a purple cardstock. I cut out the white one and layered it on the purple one. The Piccolo accent cross is embossed with Enamel Embossing Powder. I used my small quilting ruler and measured in 1/8" and laid down a strip of 1/4" Scor Tape all around the edge of the cardstock. I rubbed over the cardstock with the antistatic bag, then removed the top film over the tape and covered it with embossing powder. I wish for you a Blessed Easter! Products I used from the SweetStamps store Are listed on my post at the SweetStamps store HERE. I would like to join in the Addicted to Stamps and More Holiday challenge. At Crafter's Cafe, there is an Easter challenge, and another appropriate challenge is at Word Art Wednesday. There is an Easter challenge at Crafty Boots and also at Ohh la la Creations. And finally, I want to join in the Sparkle and Sprinkle challenge- using Enamel Embossing Powder.